In recent years, both state and federal government entities have stepped up efforts to limit Medicare and Medicaid fraud by aggressively investigating and prosecuting all suspicious claims provided by insurance industry watch-dogs and other sources. Whether you have been accused of fraud or suspect you are under government investigation, hiring a skilled criminal defense attorney is essential to protecting your rights and interests. As former Brooklyn First Deputy Bureau Chiefs with experience handling state and federal cases in both the prosecution and defense settings, our attorneys understand the challenges involved in cases involving Medicare/Medicaid fraud. 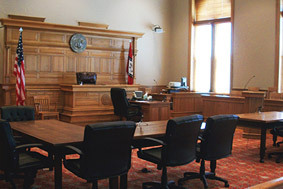 We have experience handling grand jury proceedings, investigations and trials or appeals at both the state and federal levels. For determined, experienced defense, contact us today at 212-766-3366. The regulations governing Medicare and Medicaid are complex and often confusing for busy healthcare professionals. Without a thorough understanding of the guidelines and procedures, a simple miscalculation or misunderstanding could result in criminal charges for fraud. Whether you have been accused of fraudulently billing Medicare for services not given, or even if you are under investigation for suspected fraud, protect your rights and interests and contact Goldberg & Allen. We defend doctors, nurses, medical specialists, pharmacists and other healthcare professionals and companies against allegations of Medicare and Medicaid fraud. We offer the proven trial experience you need to protect your rights, your freedom and your reputation. Depending on the unique facts of your case and what we discover through rigorous investigation, we may be able to help you avoid criminal prosecution or an expensive trial proceeding. If the evidence against you seems clear, we will actively negotiate for a favorable settlement to minimize the consequences you face. In either case, our goal is to protect your best interests, both now and in the future. We have obtained significant case results representing clients accused of a variety of insurance fraud and other white collar crimes. If you are under investigation for Medicare or Medicaid fraud, now is the time to contact an experienced, financially savvy lawyer who understands the technicalities of both the Medicare and Medicaid systems as well as state and federal criminal procedures. Call today: 212-766-3366.